Thanks to the major fiscal commitment from the Mayor and the DC Council, our students are receiving assistance with transportation to and from school. CC Prep provides its students with a smart trip card containing $50 in subsidized transportation assistance. 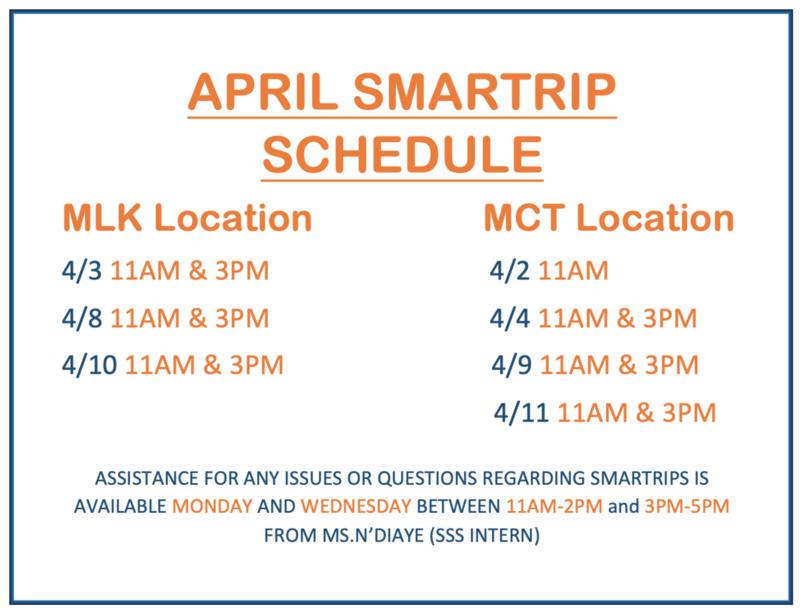 To receive SmarTrip Card assistance the student has only to connect through their Student Support Specialist.